« The Disco Exorcist (2011) Review. 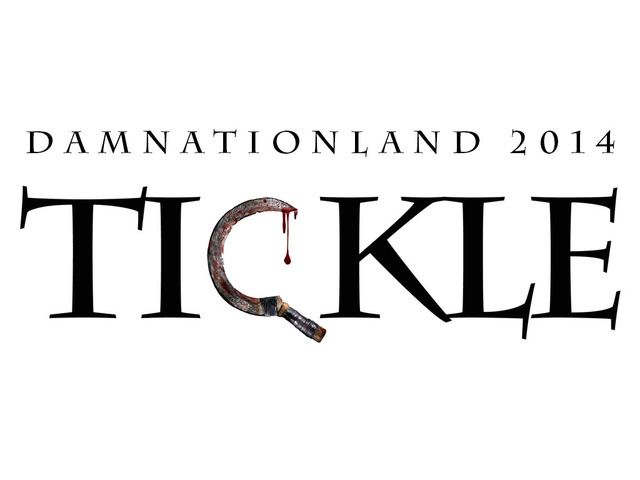 Damnationland 2014: Tickle, a Kickstarter campaign from Bonfire Films. Just wanted to share this awesome Kickstarter campaign with my followers. Corey Norman of independent production company Bonfire Films (The Hanover House (feature), Natal (short)) is planning to shoot an all new short film titled Tickle. Written by Haley Norman, Tickle intends to be the embodiment of 80’s gore horror, echoing back to a well-loved era of the genre which saw a slew of dynamic films from Basket Case to An American Werewolf in London to The Evil Dead as well as the decade where the classic slasher really took off. The team are hoping to raise a total of $1, 200 in order to contribute towards the cost of practical effects (a critical aesthetic of 80’s horror cinema), costume, props, food for everyone on set and lens rental. Maine-based Bonfire Films are responsible for creating gripping, well-crafted horror films that fans can truly appreciate. There’s no doubt that Tickle won’t be completely awesome. Their 2013 short Natal premièred at the Damnationland Festival, which specifically showcases local movies within the Maine area, so let’s ensure that Tickle will be just as successful. The aim is to have the short screened at Damnationland’s fifth festival year later in 2014. Their recent feature, The Hanover House had its world premiere this year at the Dead at the Drive-in festival. There is an option via the Kickstarter page if you’d like to make a donation, however feel free to simply share the campaign info around. Let’s make Tickle happen! This entry was posted on August 21, 2014 at 1:04 am and is filed under Horror Festivals, Press Release with tags 80's, Bonfire Films, Corey Norman, Crowdfunding, Damnationland 2014, Dead at the Drive In Film Festivel, Gore, Haley Norman, horror, Independent Film, Kickstarter, Maine, Natal, Support, The Hanover House, Tickle, US. You can follow any responses to this entry through the RSS 2.0 feed. You can leave a response, or trackback from your own site.